'Idol' Champ Phillip Phillips Gone, Gone, Gone ... My Bike is Gone!!! 'Idol' Champ Phillip Phillips: Gone, Gone, Gone ... My Bike is Gone!!! Phillip Phillips isn't feeling jiffy these days, because someone brazenly stole his prized bike ... and it was all caught on video. The "American Idol" winner went to a Burbank recording studio Tuesday night and his crew unloaded some equipment ... but left some outside the building in what they thought was a secure area. Hours later, a prowler lurked, spotted the $800 GT mountain bike and pedaled away. The thief probably didn't know his every move was captured on video, but there's a problem. The video is so dark it's almost impossible to ID the culprit. If you see a suspicious man on a fancy bike, call the police immediately. 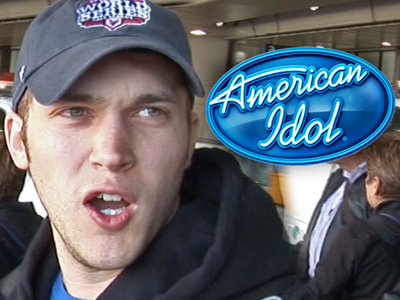 'American Idol' Producers -- Phillip Phillips Is Holding $1 Million of OUR Money!